Avi Farber is a ceramic artist, photographer and professional fire fighter for the US forest service. All of his work is connected by the common thread of understanding the way fire moves through landscape. Born in Santa Fe and currently living in Taos, Avi has connected to a wood-fire pottery community in Northern New Mexico that build their own kilns and keep them fired day and night for weeks at a time, camping as a group and tending to the heat of the fire. 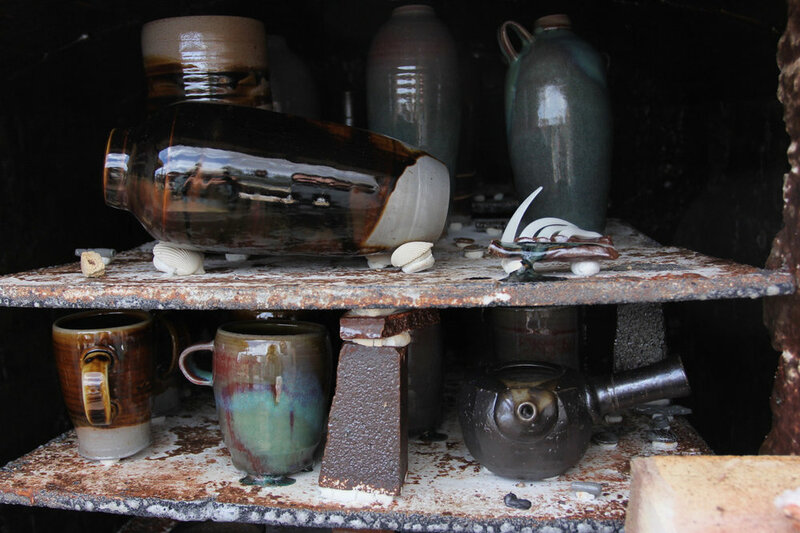 The positioning of each artists pieces inside these kilns determines the nature of sheen or matte finish on each unique cup, bowl and vase. Opuntia is proud to be carrying Avi’s work on our shelves for the winter. Look for more of his ceramics and photos coming by way of his newly renovated, Airstream mobile gallery beginning spring 2019.